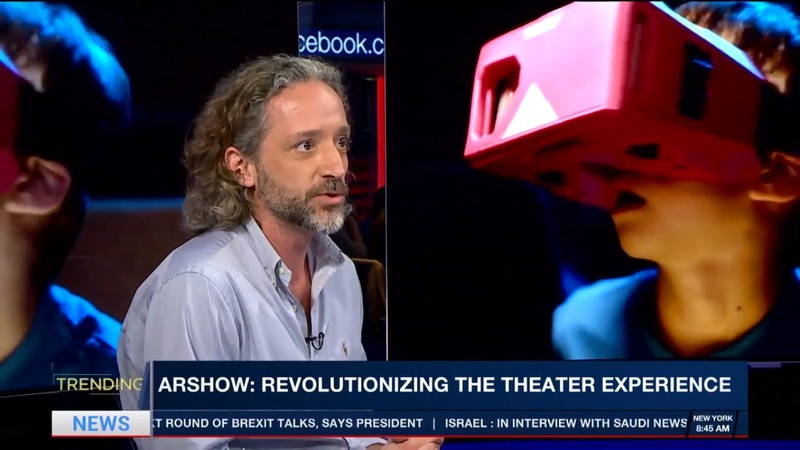 i24NEWS heard of ARShow’s technological and artistic breakthrough and called us promptly to their studio. The wonderful host Emily Frances hosted Sasha Kreindlin (CEO) on “Trending”, ONE DAY(!) before “Gulliver”‘s premiere in Gesher theater. Days before the premiere we were all crossing our fingers and holding a strong faith that everything will go as planned. Now, when “Gulliver” is a smashing success and completely sold out months in advance and when ARShow is swimming in new projects, we are happy to share this interview. Nothing like those “butterflies” when presenting your creation to the world for the first time.